There have been several events to remember those lost in the attacks on September 11th. 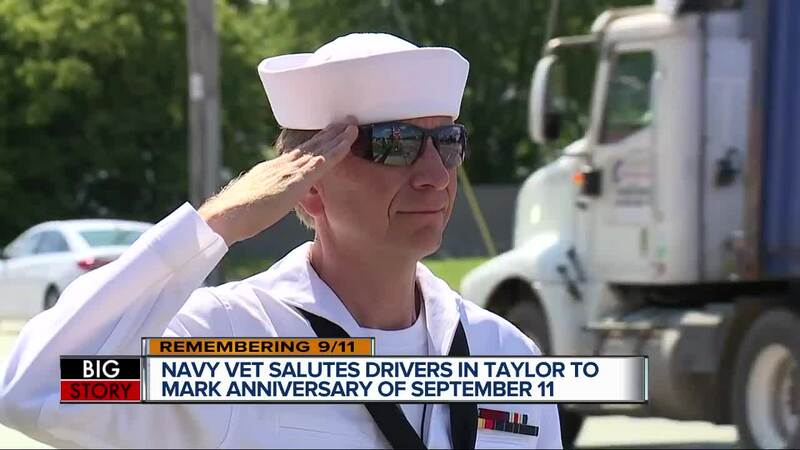 One Navy veteran spent the day honoring the victims in his own way. He setup a memorial on Telegraph and Eureka in Taylor and saluted traffic. 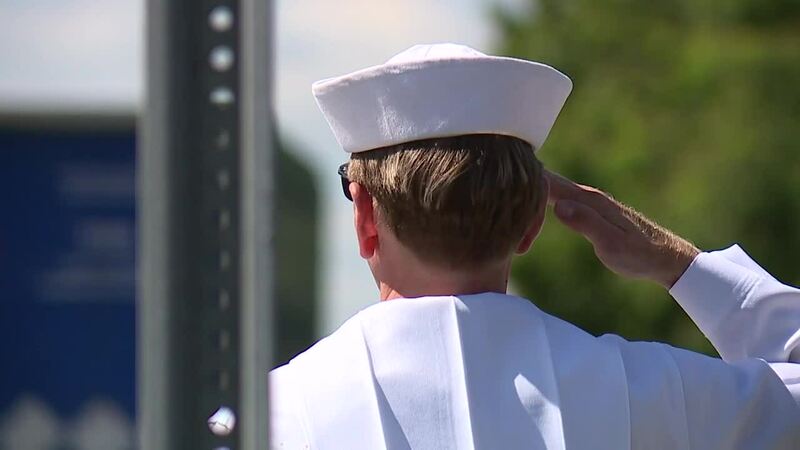 Heidenreich is getting positive feedback as he salutes and drivers honk. He’s usually out there on Veterans Day but decided to do this on 9/11, from sunrise to sunset. The veteran setup cardboard twin towers, saluting gnomes, several little flags and a few larger ones, including a fire department flag, which is a black and white flag with a red stripe, a police department flag, two 9/11 flags, and a heros’ USA flag over here. James Davis stopped by to say thank you. “It kind of made me feel good to hear about this and see this. I wanted to come out, shake his hand and thank him,” Davis explained. Heidenreich has this one request.